Today we travelled to Qumran where the Dead Sea Scrolls were found, baptized one of our pilgrims in the Jordan River at Qaser El Yahud – the place where John baptized Jesus, shopped at Ahava’s factory outlet and floated in the Dead Sea. Tonite’s blog is going to be a short one friends – I’ve just about hit empty on the old energy tank. Still – I couldn’t go to bed without sharing some thoughts about water in a desert place. Today was dubbed “the aquafecta” by Geoff who swam in the Sea of Galilee, waded in the Jordan and floated in the Dead Sea. The amazing thing – other than getting to do all three in one day – is that we did this while traveling from a green and fertile land in the Galilee to a barren desert. As the bus headed south, we began to notice an abundance of rocks in the fields. Then within a few minutes we were aware that we were seeing a little scrub grass between the rocks. A short while later, the green was all but gone and we knew that we had entered the desert. When God wants to bless the people of Israel, he promises them springs in the desert wasteland. When Jesus wants people to understand salvation, he speaks of offering them living water. This is because in the desert, nothing is as precious as water. Nothing marks the line between life and death so clearly as how much water you have. What God offers us is a choice between life and death. The way of Jesus is a spring of living water – eternal life – that wells up in us when his Spirit dwells in us. Without him we are left to face the wages of sin: death. Whether spiritual, emotional or physical. May you, my friends, choose life. May his Spirit well up in you, a fountain of living water, even in a desert place. 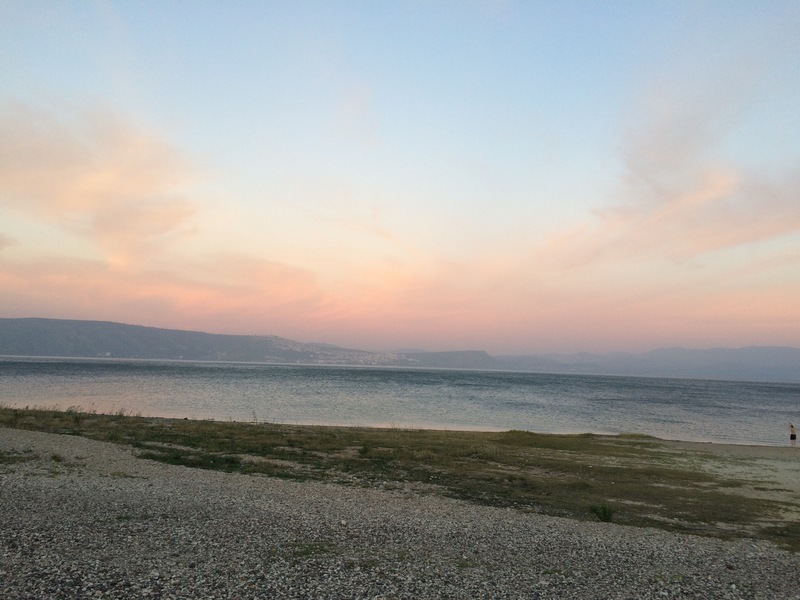 Starting the morning on the shores of a very breezy Sea of Galilee. 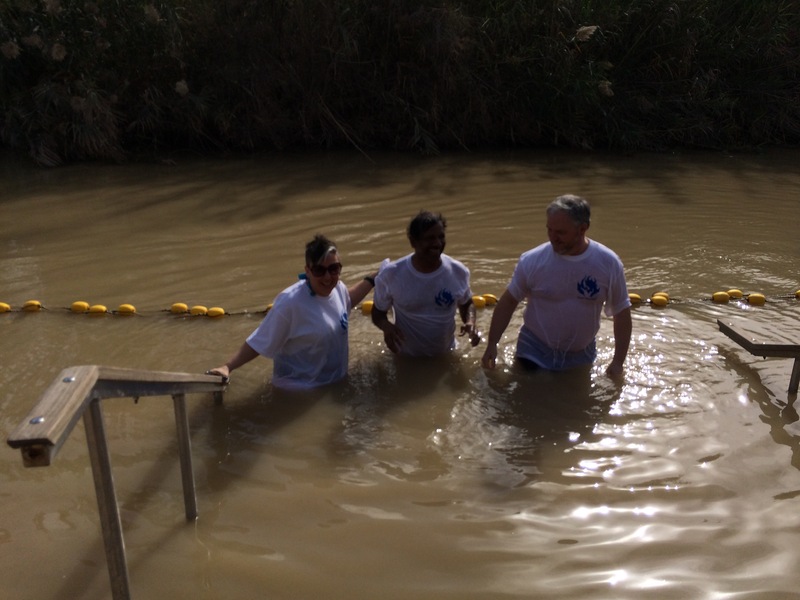 Baptizing Sankar Roopnarine in the Jordan River. 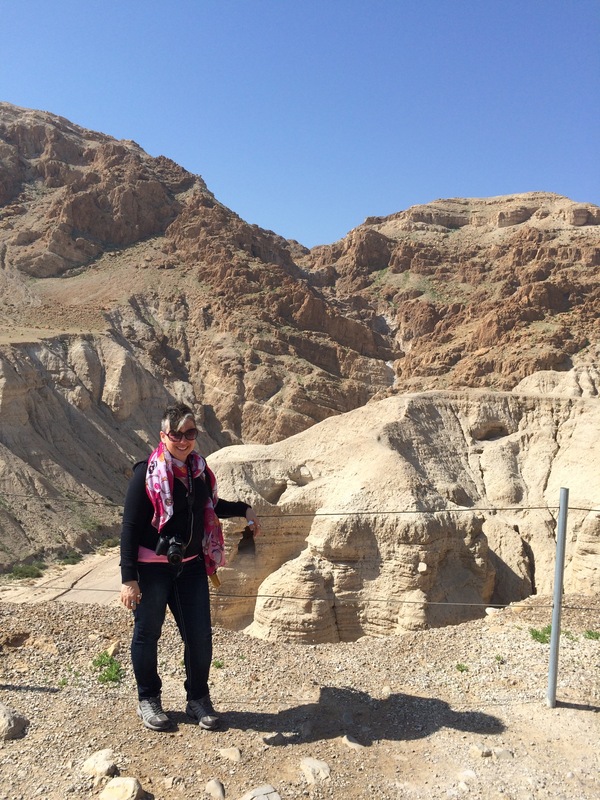 The caves of Qumran in the background. Where the Dead Sea Scrolls were found. 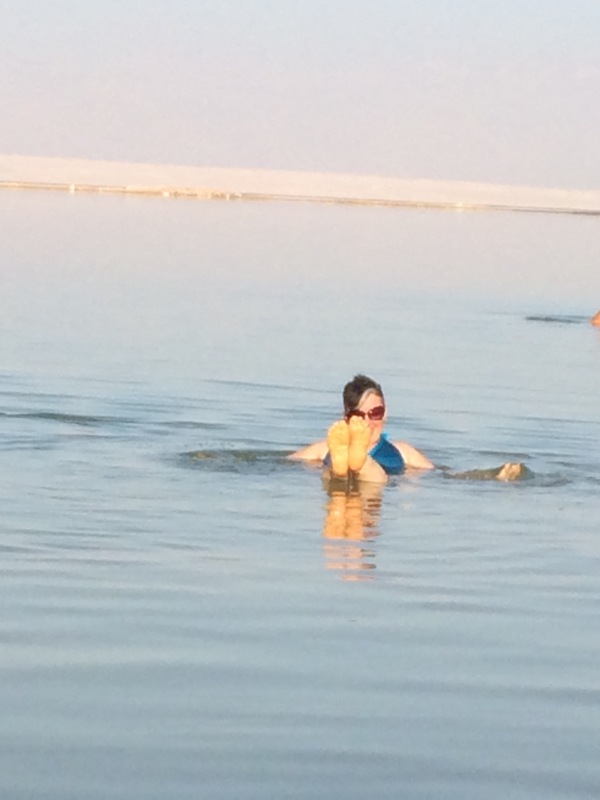 Mudded up at the Dead Sea – very good for the skin, the mud has essential nutrients that revive skin cells. So soft afterward!